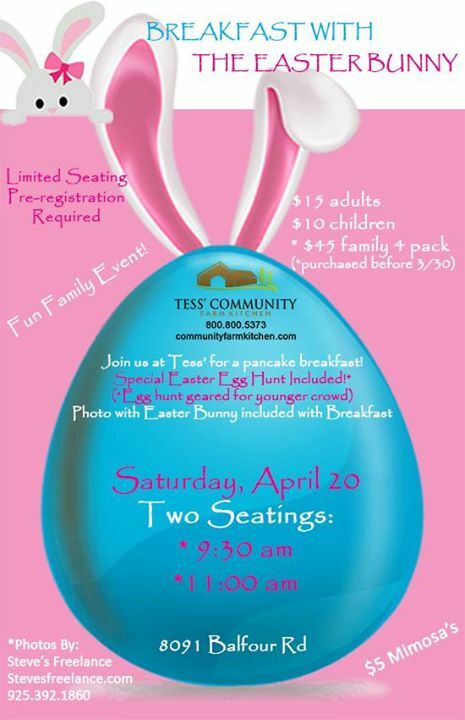 Join us at Tess’ for an Easter Bunny Pancake Breakfast! This will be a fun family event! Breakfast will include a fun Easter Egg Hunt for the kids* (Hunt Geared towards younger crowd) and a photo with the Easter Bunny. Pre-Registration is required as seating is limited. Two separate seating’s available to choose from. $5 Mimosa’s for the 21 and over crowd! **Limited number of Family Four pack Special at a discounted price available if purchased prior to 3/30/19 or until sold out. Photo’s by Steve’s Freelance Photography!